Curious to learn palmistry as a hobby? Ever considered reading your own palm? 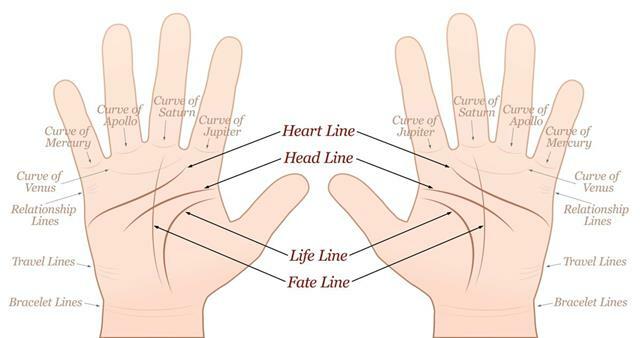 This AstrologyBay article covers palmistry basics and gives tips to you so that you can get thorough with self palm reading techniques. Believe it or not, your palm can tell a lot about your health, wealth, relationships, and many more. The art of reading palms is called palmistry or chiromancy. There are specific palmistry schools that provide training courses for the same. Any individual interested in palmistry can enroll in the programs and learn how to read palms. However, learning how to palm read yourself for entertainment requires no specific skills. All you need is a little patience to know the basics and understand them. Many people believe in the interpretations of the lines in the palm. While some practice palmistry as a hobby, others follow it for spiritual reasons. According to palmistry, hidden facts about life can be revealed with the help of palm reading. Each of the palm lines have a significant meaning of their own. Say for example, you have the marriage and lifeline, which tell about the spousal relationship and life vitality, respectively. Following are some tips for reading your palm. 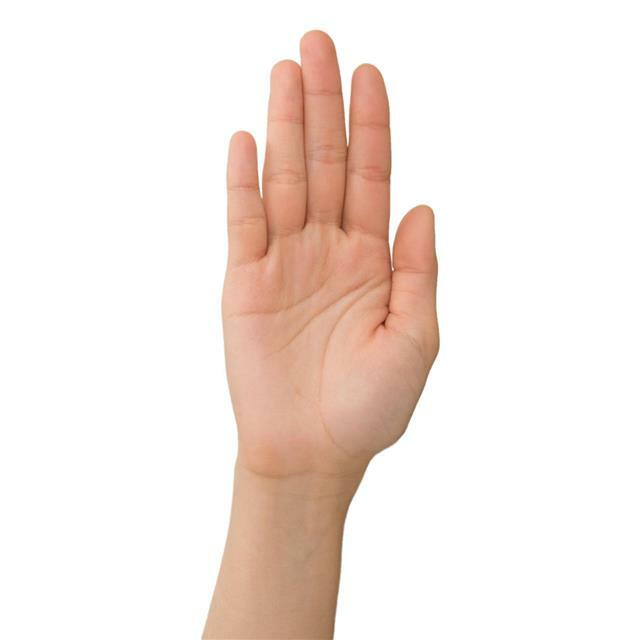 The first step in self palm reading is determining the palm that is to be referred. While there are different assumptions, a commonly followed tip is to examine both the right hand and left hand. 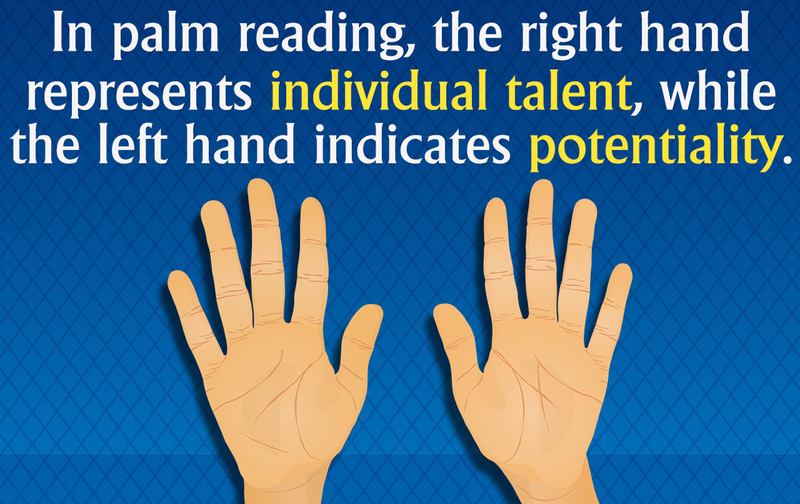 In palm reading, the right side represents individual talent and personality, while the left side indicates potentiality. According to Chinese palm reading, the left hand is used for men below 30 years old, while for women, the right hand is referred. The Life Line: As the name suggests, the life line is used for predicting the vitality and quality of life. It begins from the right side of the palm, between the thumb and index fingers, and travels down the wrist. A curvy line shows that you are always energetic, while a line closer to the thumb indicates lack of energy. Those who are gifted with more than one life line have enormous vitality in them. The Head Line: Your attitude, personality, reasoning ability, and general belief are reflected in the head line. Extending across the palm, it lies between the two remaining major lines, the life line below and the heart line above it. According to palm reading basics, a curvy head line represents creativity, a short line means possibility of physical achievements, and a straight line reveals that you incline towards realistic thinking. The Heart Line: Also known as the love line, it starts from the left side of the palm and makes a curve towards the index finger. A line that begins just below the index finger means that you are satisfied with your love life. If the tip lies between the index and middle fingers, you tend to give in to your heart easily. A long and curved line indicates an emotional person, while a short, straight line means lack of interest in love. 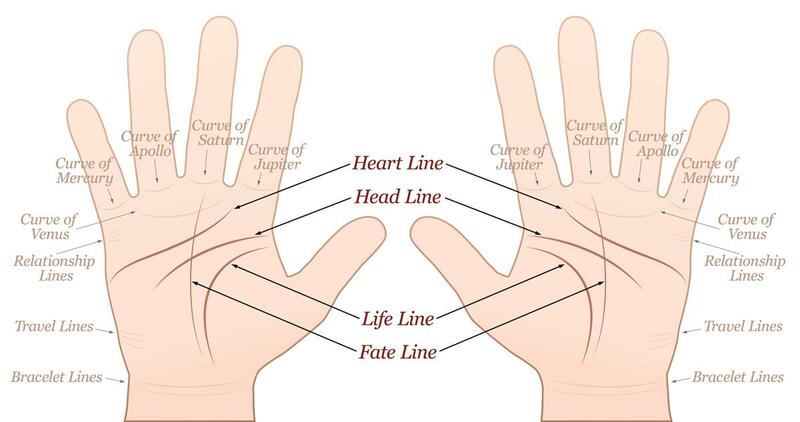 The Fate Line: Speaking more about how to palm read yourself, find out the fourth major line in the palm, the fate line. It starts from the base of the palm and runs upwards, separating your palm into two halves. This line governs the fate or more precisely, the luck of a person. A deep fate line denotes inheritance, a faint line shows failures, and a jagged fate line reveals struggle. Not all people have this line; its absence means that the individual has a preplanned life and achieves success with less effort. The Minor Lines: As you are done with reading the major lines, now let's move on to the minor lines of the palm. The line of sun lies above the heart line and below the ring finger (or finger of Apollo). Also called the line of Apollo, it is short in length and denotes artistic talent. Another minor line is the line of mercury, which originates from the base of the palm and makes an angle towards the little finger. This minor line represents the nervous system and denotes spiritual growth. Examining the hand size, shape, and texture is another aspect of palmistry called Chirognomy. You will come across varied theories and beliefs. 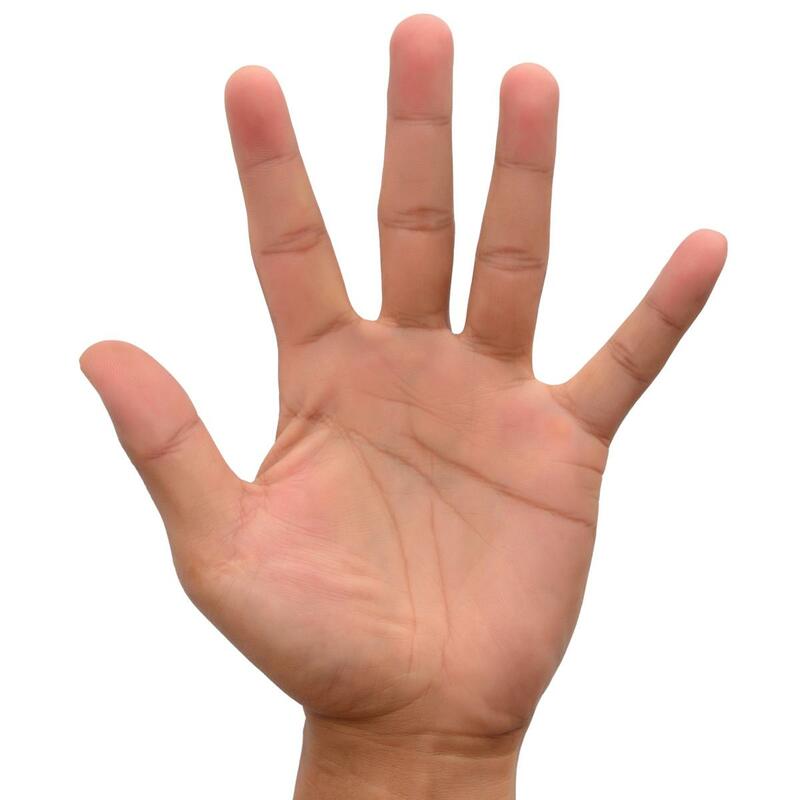 But the simple differentiation of hand types is based on finger length and palm shape. If you have short fingers with square palm and less lines, then you have an earth hand. It signifies level-headed, strong and practical nature. Likewise, the fire hand (short finger, oblong palm with well-defined lines) denotes leadership qualities, and air hand (long fingers, square palm with many clear lines) represents an idealistic person. Those with a water hand type (long fingers, oblong palm with fine lines) are caring and sensitive. So, aren't the tips easy to comprehend? In addition to the above info, learn to read the meaning of the finger shape, nail shape, and mounts. Be thorough with the palm reading guide, and you can impress your friends and family members with your palmistry skills. Apply the basic palmistry guide to tell about their past, health, love life, and many more.